I had the good fortune to photograph Nelson Mandela at his house in Johannesburg in 1998. 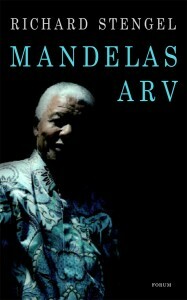 I just sold the use of the photo to a Swedish publisher for the front cover of ‘Mandelas Arv ‘ by Richard Stengel. Thank you on-line translators, but I’m guessing the title of the book is not ‘Mandela’s inheritance tax’. I’m going to go with ‘Mandela’s Legacy’.